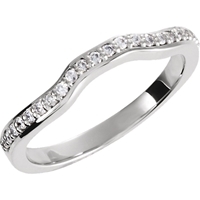 Refined and subtle this diamond ring features diamonds of intense sparkle, set in white gold for a total carat weight of 0.02 carat, perfect as a wedding ring, anniversary ring or as a special gift. Intricate and beautiful this eyecatching diamond ring showcases breathtaking diamonds, set in white gold for a total carat weight of 0.08 carat, perfect as a wedding ring, anniversary ring or as a special gift. 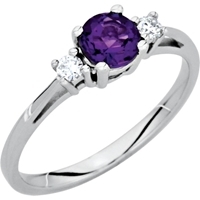 Stones structure: Amethyst & Diamond. 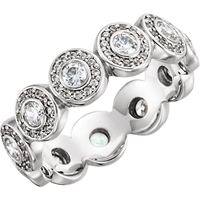 Intricate and beautiful this undeniably striking eternity band features a full circle of pavé diamonds, set in white gold for a total carat weight of 0.33 carat, perfect as a wedding ring, anniversary ring or as a special gift. 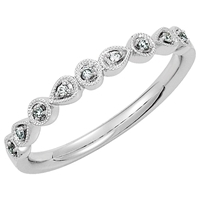 Intricate and beautiful this undeniably striking eternity band features a full circle of pavé diamonds, set in white gold for a total carat weight of 0.33 carat, a graceful ring design for your wedding, anniversary or a special occasion. Intricate and delicate this beautiful diamond ring showcases brilliant diamonds, set in white gold for a total carat weight of 0.04 carat, a graceful ring design for your wedding, anniversary or a special occasion. 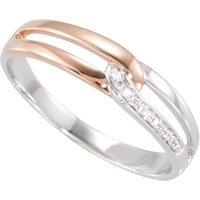 Refined and subtle this diamond ring features diamonds of intense sparkle, set in yellow gold for a total carat weight of 0.25 carat, a graceful ring design for your wedding, anniversary or a special occasion. 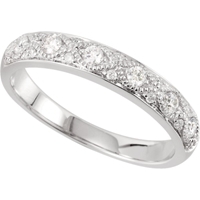 Intricate and beautiful this diamond eternity ring features a full circle of pavé diamonds, set in white gold for a total carat weight of 0.88 carat, a graceful ring design for your wedding, anniversary or a special occasion. 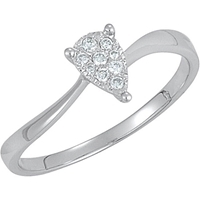 Intricate and beautiful this eyecatching diamond ring features diamons of unequaled quality, set in white gold for a total carat weight of 0.03 carat, perfect as a wedding ring, anniversary ring or as a special gift. 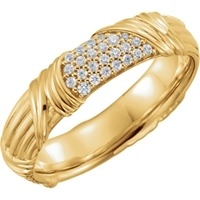 Intricate and beautiful this eyecatching diamond ring showcases breathtaking diamonds, set in yellow gold for a total carat weight of 0.07 carat, a graceful ring design for your wedding, anniversary or a special occasion. 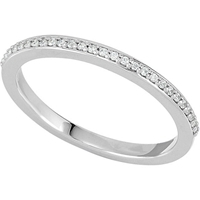 Refined and subtle this diamond ring features diamonds of intense sparkle, set in white gold for a total carat weight of 0.20 carat, perfect as a wedding ring, anniversary ring or as a special gift. Intricate and beautiful this eyecatching diamond ring showcases breathtaking diamonds, set in white gold for a total carat weight of 0.17 carat, perfect as a wedding ring, anniversary ring or as a special gift. Intricate and beautiful this eyecatching diamond ring features diamons of unequaled quality, set in white gold for a total carat weight of 0.25 carat, a graceful ring design for your wedding, anniversary or a special occasion. 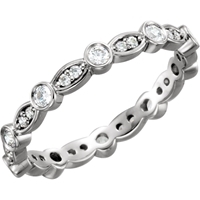 Intricate and beautiful this diamond eternity ring features a full circle of pavé diamonds, set in white gold for a total carat weight of 0.50 carat, a graceful ring design for your wedding, anniversary or a special occasion. Intricate and beautiful this eyecatching diamond ring features diamons of unequaled quality, set in white gold for a total carat weight of 0.07 carat, a graceful ring design for your wedding, anniversary or a special occasion. Refined and subtle this exquisite diamond ring showcases sparkling diamonds, set in white gold for a total carat weight of 0.07 carat, perfect as a wedding ring, anniversary ring or as a special gift. 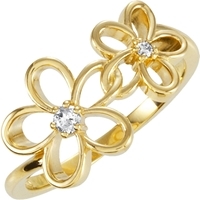 Intricate and delicate this beautiful diamond ring showcases brilliant diamonds, set in yellow gold for a total carat weight of 0.25 carat, a graceful ring design for your wedding, anniversary or a special occasion. 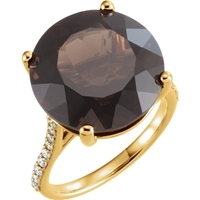 Stones structure: Smoky Quartz & Diamond. 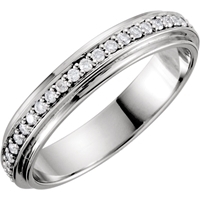 Refined and subtle this diamond ring features diamonds of intense sparkle, set in white gold for a total carat weight of 0.07 carat, perfect as a wedding ring, anniversary ring or as a special gift. Refined and subtle this exquisite diamond ring showcases sparkling diamonds, set in platinum for a total carat weight of 0.38 carat, a graceful ring design for your wedding, anniversary or a special occasion. The moment you have been waiting for all your lives has finally arrived: you gave her the engagement ring and now you're about to get married. You couldn't feel any happier. But after the first rush of excitement has passed, it's time to start planning your dream wedding: choosing the venue, finding a caterer and a DJ or a band, designing you wedding cake, looking for the perfect dress (for her) and tuxedo (for you), sending out invites, making seating arrangements and of course – looking for wedding rings. Wedding rings may be small, but they're very significant. 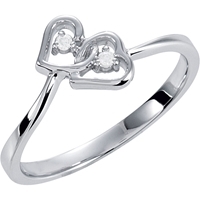 They signify the bond between partners, their commitment to one another, and their eternal love. 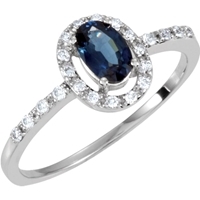 Therefore, you should think carefully what type of wedding ring you want, and do some research: walk into jewellery stores, check relevant websites, ask your married friends or family for advice, leaf through wedding or jewellery magazines, etc. The choice of wedding rings depends on many factors: the budget you can afford to spend on them, your preferences in jewellery, your character ("out there" or modest), etc. Remember, if all goes well, your wedding ring could be on your finger for decades! 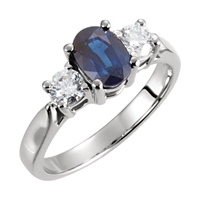 So your best bet is to choose a wedding ring style that is timeless and classy. 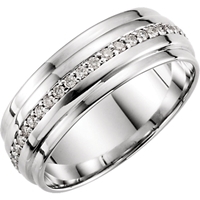 Wedding rings come in a variety of colors, widths and textures: from platinum to gold to a coppery-red gold; from thin, delicate bands to thick, prominent ones; from smooth ones to ones engraved with meaningful phrases or textured in some way; wedding rings have stones set in them, too. Take your time to choose your wedding rings; don't choose hastily. Consult with one another; if you want them to be unique, throw around ideas and see where they get you. Most importantly, don't forget to enjoy the process!